We’re feeling ALIVE AT HEART because finally it’s showtime! 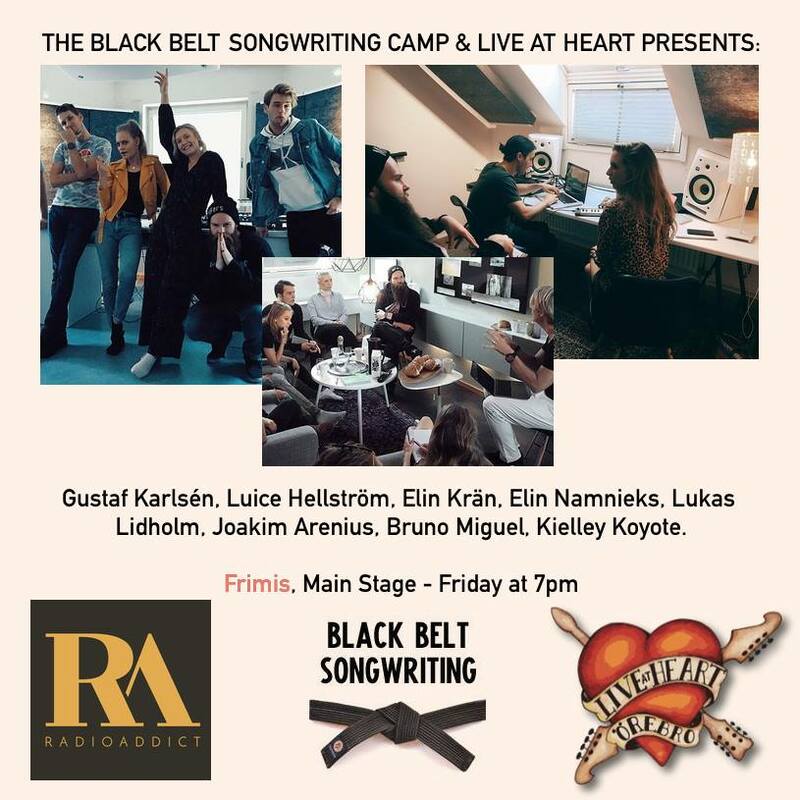 After 3 days of brain storming, songwriting, producing and rehearsing, at Black Belt Songwriting Camp, the time has come to deliver on stage! Join us at LIVE AT HEART’s main stage tonight at 7! Thank you Oscar Nordström and Clara Alm who have coached this event, held at RadioAddict’s nice studio environment (Erik !!) Thank you LIVE AT HEART for the opportunity and the collaboration.